R.R. 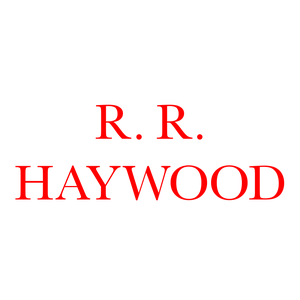 Haywood is the author of the self-published cult series The Undead, British zombie horror novels with a readership that crosses generations and gender. He works a full-time job, has four dogs and lots of tattoos. He lives in a cave somewhere underground away from the spy satellites and invisible drones sent to watch over us by the BBC. He is a certified, badged and registered hypochondriac, and blames the invisible BBC drones for this.